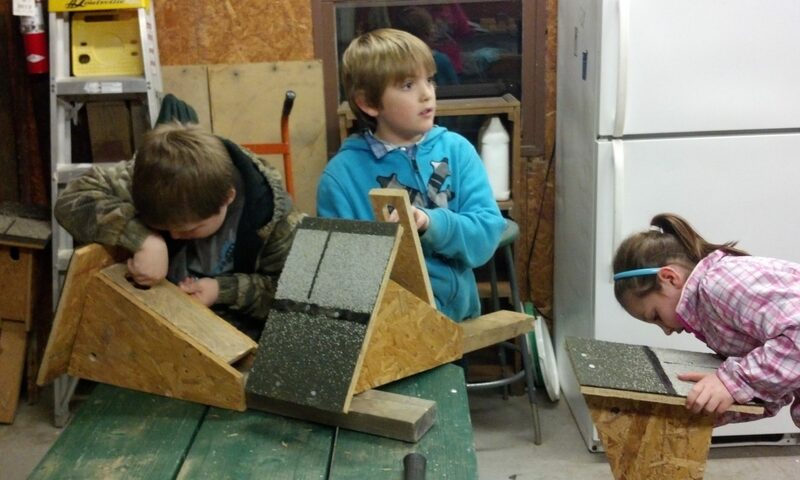 Annual Meeting and Barn Owl Program a Great Success! 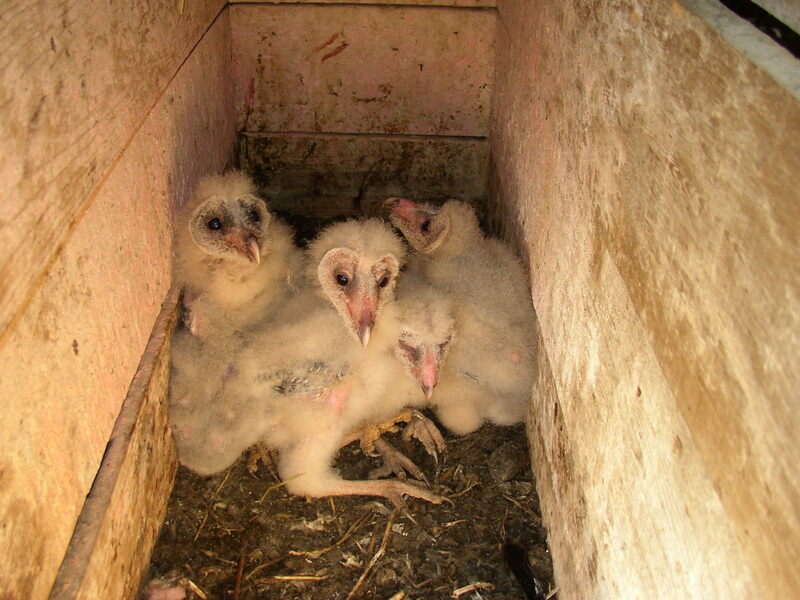 This shot of 4 baby barn owls was taken at Bob and Sharon's farm yesterday! About 30 people attended the Annual Meeting where new officers and board directors for the coming year were elected. Everyone truly enjoyed Dr. Jeff Walk’s presentation on the status of barn owls in Illinois and the recovery project. We learned that barn owls, once a common owl in Illinois, stopped flourishing with changes in agriculture and landscape. 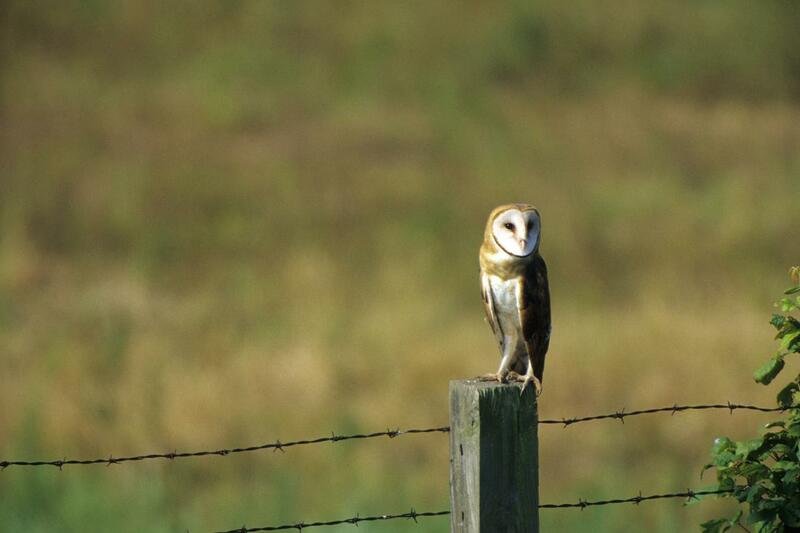 Habitat changes such as conversion of grasslands to corn and soybeans, and moving from cattle pasturing to factory farm feedlots is thought to be the number one reason barn owl populations diminished in Illinois. No habitat for voles (their main source of protein) — no barn owls. The barn owl recovery project is promoting increased grassland habitat and more education to increase and sustain barn owl populations in the state. The goal of the project is to eventually delist the barn owl as a threatened and endangered species in Illinois. Join us for our Annual Meeting and special presentation by Dr. Jeff Walk on the Barn Owl Recovery Project. The barn owl (Tyto alba) is Endangered in Illinois, and a Species in Greatest Need of Conservation in the Illinois Wildlife Action Plan. The primary reason for the species decline is loss of habitat for voles, it’s preferred prey, and suitable nesting sites. Jeff will tell about the Recovery Project, a six-step program that includes habitat enlargement and enhancement, deploying and monitoring man-made nest boxes and research. Open to the public — everyone is welcome! The meeting will take place at the Carbondale Township Hall, 217 E. Main Street. Dr. Clay Nielsen, an Assistant Professor with the Cooperative Wildlife Research Laboratory and Department of Forestry at SIUC, will discuss 3 research projects he is conducting on avian ecology and conservation in Illinois. 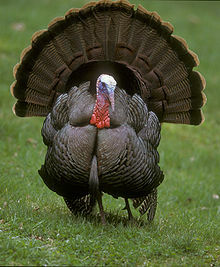 These studies focus on turkey response to prescribed fire, genetics of northern bobwhite, and the effects of CRP management on grassland birds.